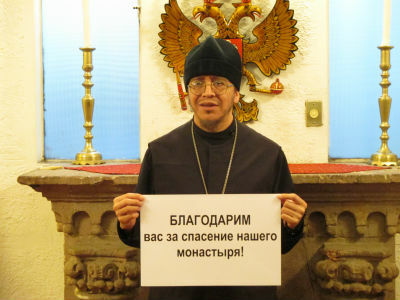 We wrote to you recently about the desperate situation of Fr Nektariy and the Holy Trinity Monastery in Mexico City. Fr Nektariy is sick and on the brink of a physical collapse, and the brethren were forced to make the heartbreaking decision to close the monastery’s doors forever. Fortunately for them, for all the parishioners of the monastery, and for our Church, you did not let this happen. The response has been overwhelming and we are so incredibly grateful! We now have enough to keep the monastery open for a year! - Reopen the monastery bakery shop, which used to bring 60 % of the monastery income, thus making the monastery self-sufficient! - Invest in the monastery apiary, which is almost lost. This will allow the brethren to sell honey and make their own beeswax candles. Thank you for saving the only ROCOR parish and monastery in Mexico! Please donate today to make sure the Holy Trinity Monastery in Mexico City!